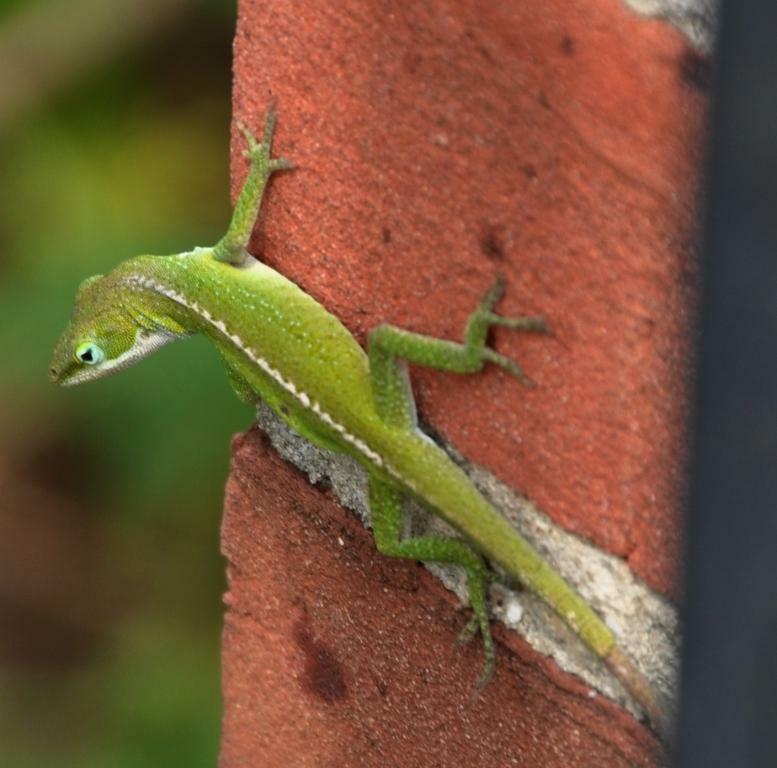 Anoles are members of the Iguanid family, over 600 species of which inhabit the Americas. 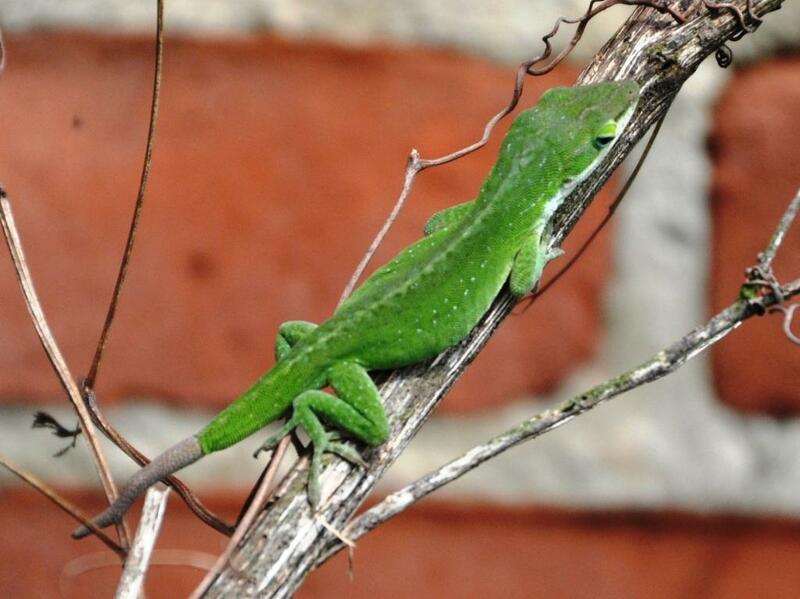 The common green anole is native to America and often displays a jagged white stripe along it back. Males often display a distinctive ink throat flap when vying for territory. 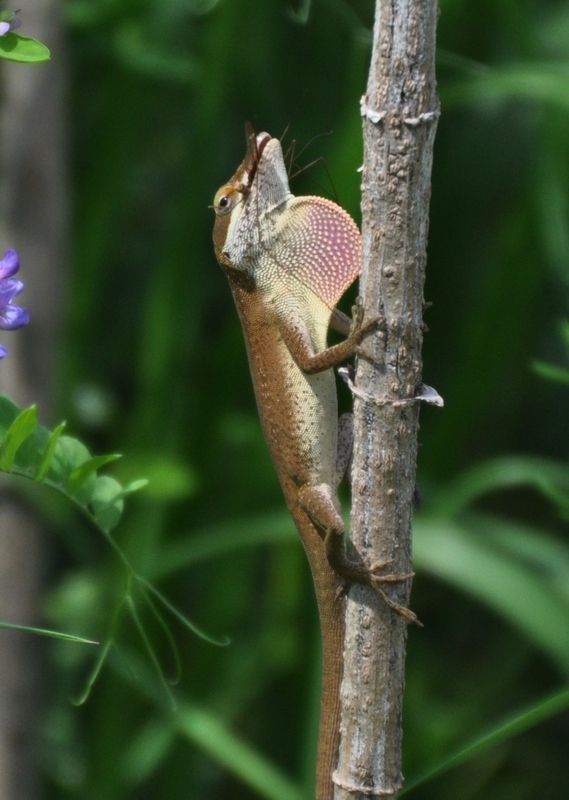 The crested anole is distinguished by the prominent crest along its head and back. I have not yet found another photo of this lizard showing those black spots behind the eye and behind the ear of the animal. 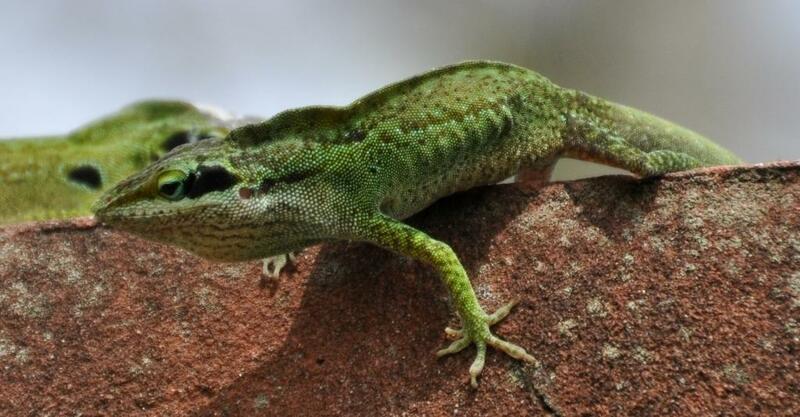 Both green and crested anoles can change colors from green to brown; the transformation primarily dependent on emotion but also appears to change in relation to temperature as well. For some real reptilian rhythm go here: Lizard Dance! During a recent trip to New Orleans I found myself stranded in the downtown French Quarter of the city. Since I have an infinitely greater preference for wildlife safaris over cuisine I was chagrined not to be able to get out into bayous and swamps of the place; some of the best times of my life have been spent sloshing around swamps. Well, you can’t have everything. But the determined wildlife photographer can always find something somewhere so I took my camera out along the backyard fence lines of some homes in the area and, of course, I found something. 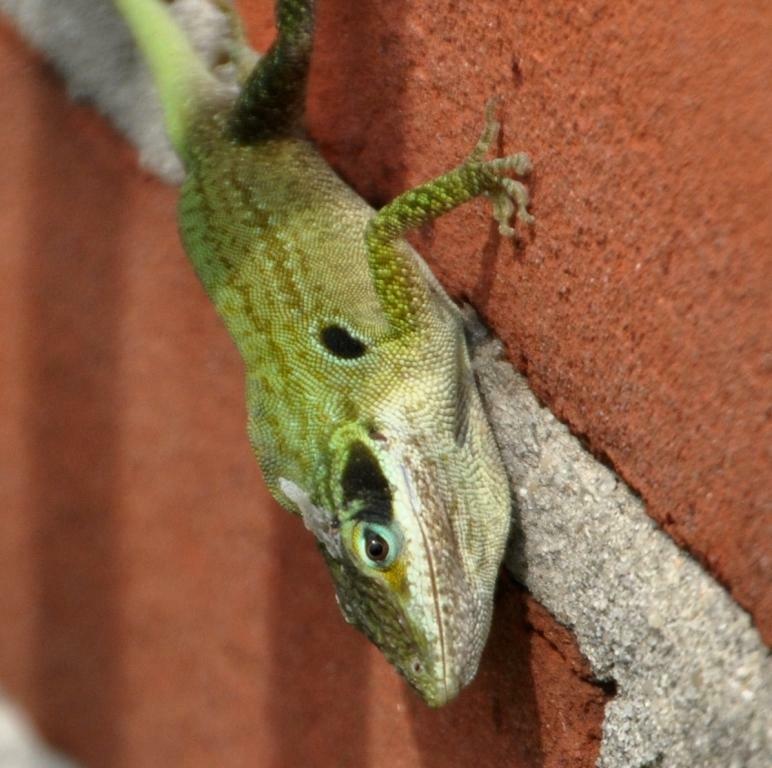 At first I thought I was seeing nothing but variations of the common green anole, Anolis carolinenesis. 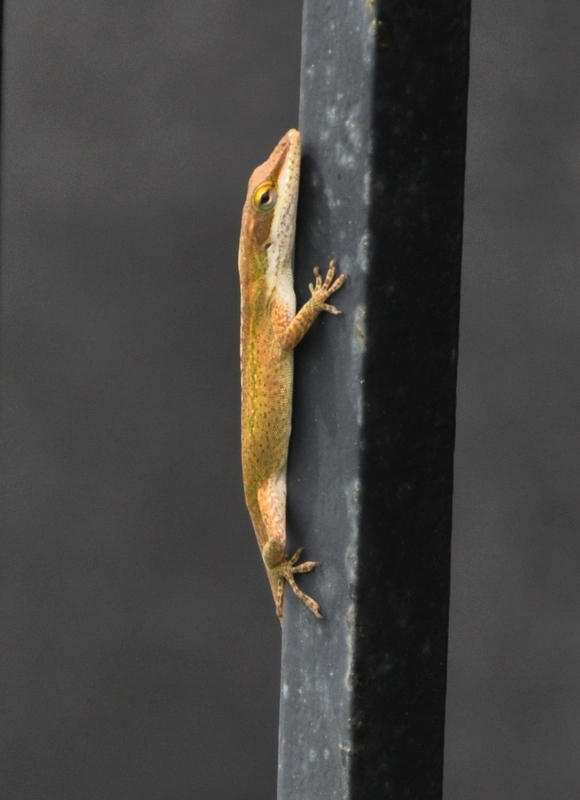 After a bit of research, however, I discovered that I had also captured a crested anole, Anolis cristatellus, on film as well. Both are common reptiles found throughout the Southeast but the crested anole is an introduced species from the Caribbean. Combined with their ability to change colors these active, territorial, and aggressive reptiles very interesting to observe – and welcome relief from the frantic noise of downtown New Orleans. I found a few of these today and was wondering also what they were.